The 9th Theater Support Command's lineage stems from Headquarters, 9th Logistical Command, first constituted on 3 May 1960 and activated on Okinawa on 10 May 1960. It was reorganized and re-designated as Headquarters and Headquarters Detachment, 9th Logistical Command on 15 March 1961. In December 1961 as the first U.S. Army aviation units arrived in Vietnam it became apparent that logistical support had to be increased. The 9th Logistical Command on Okinawa sent a logistical support team to South Vietnam on December 17, 1961. This team would eventually become the headquarters of the U.S. Army, Vietnam, the Army component of the U.S. Military Assistance Command, Vietnam. At the request of the Royal Thai Government, the unit deployed to Thailand in May 1962, providing assistance in civil construction projects and later becoming the logistical support element for Joint Task Force 116 to counter the growing conflict in the Southeast Asia area. Later, with the inactivation of the joint task force, the 9th Logistical Command remained in Thailand with the mission of storing and maintaining pre-positioned stocks, conducting people to people civic action programs, and maintaining an in-country communications base. Colonel Walter J. Woolwine (LTG retired) assumed command of the 9th Logistical Command 1965 - 1966. The command was inactivated in Thailand on 12 June 1970 at Camp Samae San. On a white disc within a 1/8 inch (.32 cm) red border 2 inches (5.08 cm) in diameter overall, a blue nonagon charged in the center with a white star. Red, white and blue represent our National colors. The primary mission of administration and logistical support for Army duties is suggested by the white star, and the numerical designation of the command by the nine-sided figure. A silver color metal and enamel device 2 inches (5.08 cm) in diameter consisting of a design similar to the shoulder sleeve insignia. A gold color metal and enamel device 1 1/8 inches (2.86 cm) in height overall consisting of a blue torii enveloping within its gateway a blue nonagon bearing a white star, all surmounting a red scroll lined gold arched above the torii the inscription Service and across the base TO OUR CUSTOMERS in gold letters. Red, white and blue are our National colors. The torii represents the organizations initial constitution and activation in Okinawa and its overseas service. The basic O shape of the nonagon also alludes to that location, and the nine sides to the numerical designation of the Command. The star is indicative of superior administrative and logistical support. The distinctive unit insignia was originally approved for the 9th Logistical Command on 5 February 1969. It was redesignated effective 1 November 1994, for the 9th Support Command, with the description and symbolism revised. In 2007, as part of a realignment of US forces in the Pacific region, a forward element of I Corps, I Corps (Forward), was activated at Camp Zama, Japan. This element effectively subsumed the roles previously performed by 9th Theater Support Command, which was concurrently inactivated. The 9th Theater Support Command missions included planning and directing combat service support throughout the US Pacific Command (PACOM) Theater of operations and providing general support to units in the theater. It performed rear area operations within assigned areas and provided the nucleus for major regional logistics support. While some members of the 9th Theater Support Command were present in Japan, most trained on the East Coast of the United States. The same Commanding General led both USARJ and the 9th Theater Support Command, providing a unity of command and focus for US Army activities in Japan. Along with the regular active-duty 9th Theater Support Command soldiers in Japan, the Army Reserve had about 15 Active Guard and Reserve, or AGR, soldiers at Camp Zama, making up the core of an advance party element for mobilizations called the "early entry module." A basic concept in the organization of a Theater Support Command is the use of modular teams, customized to missions as they arise. The EEM has a similar function, to represent the command on a new site or mission and to put assets in place to accommodate cells or teams that follow to carry out the mission. The majority of the 9th Theater Support Command members were traditional, drilling Reservists who trained one weekend per month and performed a week-long period of Annual Training every year. Fort Belvoir, Virginia was also home to a contingent of full time, AGR soldiers who kept the 9th Theater Support Command running from day to day. Frequent training in Japan by those members of the 9th Theater Support Command who usually worked and trained at Fort Belvoir assured their understanding of Japan and the units there with which they might have had to work for mission accomplishment. The 9th Theater Support Command had to stay ready for missions that range from "operations other than war" to major regional conflicts that they must accomplish at different levels of mobilization. The optimal mix of active, AGR and traditional Reserve soldiers found in both USARJ and 9th Theater Support Command were the start of efficiently staffed units, but the contributions for success come from several other sources. To sustain their peacetime programs and readiness for contingencies, both units required Department of the Army Civilians, and Japanese national employees. Fifteen percent of the workforce was Department of the Army Civilians. The largest portion, though, at 57 percent, was the Japanese national component. This dedicated group provided much of the continuity needed for the more than 50 years of working in Japan. In addition to the largely Reserve 9th Theater Support Command, USARJ also had a large number of Individual Mobilization Augmentees (IMA), soldiers who trained every year with the USARJ staff, and who were available to supplement the USARJ headquarters staff during contingencies, crises or wartime. There were over 34,200 short tons of Army war reserve sustainment stocks stored at Sagami Depot valued in excess of $200,000,000. These critical items of supplies and equipment could be released not only in wartime, but also for use in regional contingencies, or humanitarian assistance, as required. The prepositioning of critical supplies in Japan saved about 22 days of "steaming time" by a ship, a valuable savings during times of crisis. With ammunition stocks on mainland Japan, USARJ and the 9th Theater Support Command also had the capability to supply one combat load of selected weapons for a light infantry division in support of contingencies. Stocks could also support allies and other services in Japan. USARJ and the 9th Theater Support Command ensured care of supplies in storage (COSIS) on one heavy-lift prepositioned ship afloat located at Diego Garcia. Until 1990, that was a mission to ensure COSIS on several ships berthed at Diego Garcia. USARJ and 9th Theater Support Command maintained the capability to perform this expanded mission, retaining the facilities and skilled military and civilian workforce to do so. USARJ and the 9th Theater Support Command dispatched over 900 short tons of humanitarian assistance shipments with a value in excess of $7 million. Sixteen shipments have been sent to 9 nations including Mongolia, Cambodia and Rwanda. The 9th Theater Support Command's lineage stems from Headquarters, 9th Logistical Command, first constituted on 3 May 1960 and activated on Okinawa on 10 May 1960. 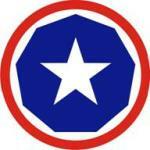 It was reorganized and redesignated as Headquarters and Headquarters Detachment, 9th Logistical Command on 15 March 1961. At the request of the Royal Thai Government, the unit deployed to Thailand in May 1962, providing assistance in civil construction projects and later becoming the logistical support element for Joint Task Force 116 to counter the growing conflict in the Southeast Asia area. Later, with the inactivation of the joint task force, the 9th Logistical Command remained in Thailand with the mission of storing and maintaining pre-positioned stocks, conducting people to people civic action programs, and maintaining an in-country communications base. 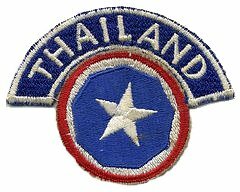 The command was inactivated in Thailand on 12 June 1970. 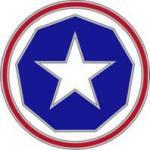 The unit was reactivated as Headquarters and Headquarters Company, 9th Theater Army Area Command on 9 December 1994 at Camp Zama, Japan. When IX Corps was inactivated, the 9th Theater Army Area Command was activated in its place in Japan. Assigned to it initially was the 10th Area Support Group at Torii Station, responsible for providing logistical support throughout the island, and the 17th Area Support Group, which provided administrative and logistical support for all Army organizations and activities in Japan. Together with Headquarters, USARJ, 9th Theater Army Area Command provided a US Army forward presence in Japan. 9th Theater Army Area Command provided command and control of assigned combat support/combat service support forces, and conducted operations with the Japan Ground Self-Defense Force (JGSDF) for the defense of Japan. 9th Theater Army Area Command provided onward movement coordination with the host nation, coordinating the capability to receive, stage, supply, and onward move United States Army forces deploying to or through its area of responsibility. It provided echelon above corps combat service support in those areas of the theater army area command area of responsibility. During peacetime, the 9th Theater Army Area Command coordinated wartime planning and training for all assigned and war trace units. It also logistically supported United States Pacific Command Forces in regional contingencies. The Active Component/Reserve Component integration concept developed by USARJ/9th Theater Army Area Command and the 310th Theater Army Area Command in 1996 called for alignment of the 310th Theater Army Area Command to the 9th Theater Army Area Command with the eventual reorganization as a single multi-component theater support command, split-stationed at Camp Zama and Fort Belvoir, Virginia. The integration of the 2 units followed 3 distinct parallel axes: plans, force structure, and training. At the same time, the Army was redesignating theater army area commands as theater support commands. The change in Army doctrine provides more focus in the battlefield to theater logistics with one logistics command responsible for all logistics. The last Theater Army Area Command went away in October 2000, as USARJ reorganized and activated a multi-composition unit formed mostly of reservists. The 9th Theater Support Command, activated on 14 October 2000, consisted of about 40 active-duty soldiers at Camp Zama, Japan, and 400 Army Reserve troops at Fort Belvoir, Virginia, located 9,000 miles and 14 hours away. The senior logistics headquarters in the Army Reserve, the 53-year-old 310th Theater Support Command, cased its colors and merged with the 40-year-old 9th Theater Army Area Command, the Army's last theater army area command. The consolidated unit was designated as the 9th Theater Support Command with headquarters in Japan, but the bulk of its people in Virginia. The 300th Area Support Group, previously assigned to the 310th Theater Support Command was also reassigned to the 9th Theater Support Command. The new unit became the latest multi-component active-reserve unit. The merger gave the 9th Theater Support Command the manpower to carry out its mission, logistics support of the Army's Pacific Command. The merger was part of the continuing trend to combine active Army and Army Reserve units to support the Army's worldwide commitments, and to take continuing advantage of the skills and experience reservists can bring to active-duty units. The idea of the multi-component unit was to give active army units additional resources to accomplish the mission. For reservists, the merger meant they would be able to focus their time and training on real-world missions, and to know where they fit and what they would be doing in the event of mobilization. The move to a theater support command delineated the mission differences between USARJ and the 9th Theater Support Command. The intent became to reinforce that the unit was either USARJ, or the 9th Theater Support Command. They were 2 distinct and separate organizations. The USARJ focus continued to be to provide defense of the island of Japan, and bilateral engagements with the JGSDF. There was no change in that mission. Some USARJ soldiers were dual missioned as being assigned to the 9th Theater Support Command and work on the USARJ staff. While not actively involved in the transition to the theater support command concept, they nonetheless were an important part of the overall organization. There would be training periods that could take away from the dual missioned soldiers. That would undoubtedly impact on the USARJ staff especially if the soldiers were deployed away from Japan. USARJ continued to serve as the Army Component Command to US Forces Japan, to support bilateral and unilateral operational planning, training, regional contingencies, and requests for humanitarian assistance. For example, the 9th Theater Support Command harnesses support and logistics resources in Japan to a force halfway around the world, in support of the entire Pacific Theater. It's commanding general was located at Camp Zama, along with the 9th Theater Support Command Early Entry Module. The EEM consists of nearly a dozen active reservists, and just under 30 dual-hatted members of USARJ. The realignment gave US Army Pacific a logistical support headquarters that was worldwide deployable with a focus on the Pacific Command area of responsibility.